Karthik Gaekwad is a veteran engineer who enjoys building software products from scratch using cloud and container technologies. He has worked in both large enterprises and startups with his career spanning National Instruments, Mentor Graphics, was the first hired engineer at Signal Sciences, an early engineer at StackEngine (which was acquired by Oracle). 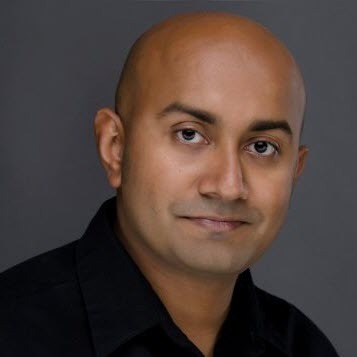 Karthik works at Oracle as a Principal Evangelist for the cloud native space, and is the author for many courses on Kubernetes on lynda.com. Karthik graduated from the University of Arizona in 2007 with an MS in Computer Engineering and currently lives in Austin, Texas with his family. He organizes several conferences including Devopsdays and Container Days and has chaired the devops tracks for the Agile Conference, and All day devops. He is also an accomplished author for LinkedIn Learning and lynda.com. In his free time, Karthik enjoys spending time with family, keeping up with the latest trends in software, and dabbling in new product ideas. Kubernetes has become the go-to platform of choice for many cloudnative organizations. However, recently we've been seeing many security exploits surround Kubernetes, and various CNCF tools! Let's discuss the basics of what many of these hacks are, and understand how to build more secure clusters.